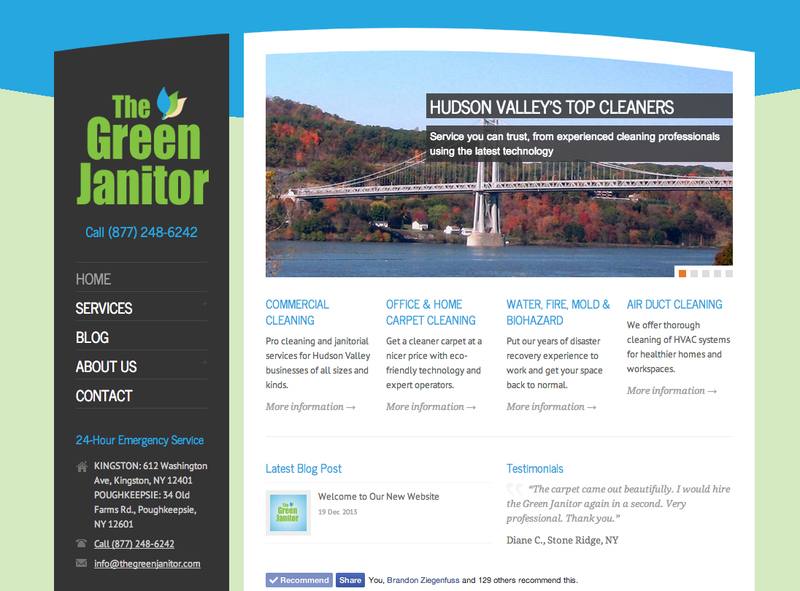 The Green Janitor offers eco-conscious cleanup services throughout Ulster and Dutchess counties. We worked closely with the company to write engaging and search-optimized marketing copy for the entire website, in addition to doing all the web design and production. The optimized content gave the site’s organic search performance a boost. The site has strong calls to action for the user to inquire about The Green Janitor’s diverse service offering generated leads.